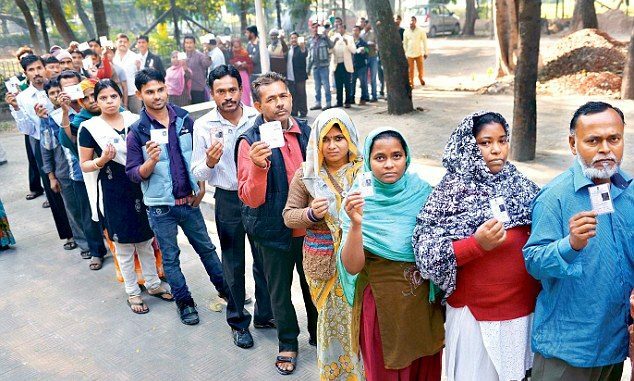 The idea of simultaneous elections to Parliament and state assemblies has been around for some time now. Senior politicians like L.K. Advani have spoken of it; it has been examined by the parliament standing committee and the Niti Aayog. Prime Minister Narendra Modi has advocated it. Now, the Election Commission has said it would be possible, logistically, to hold simultaneous polls to the central and state legislatures by September 2018. The idea, however, remains a fundamentally contested one. The EC’s recent expression of willingness has been met by an immediate chorus of questions from several opposition parties. These questions deserve to be seriously heard. Because while the proposal of simultaneous polls may draw upon some valid discontents, the solution it offers is problematic at best — and anti-democratic, in fact. To be sure, there are genuine concerns about the unrelenting election calendar in this country, with a poll always around the corner. This takes a toll in terms of the mounting costs — the growing sums of money spent by the candidates, political parties and government, and the routine flouting of all caps and limits on expenses. A price is also to be paid on the governance front, with ruling parties succumbing to the populist promise and scheme because of an impending election, and then when government slows to a standstill after the code of conduct comes into force ahead of over-long multi-phase polls. Yet, there are important concerns about imposing simultaneity on the election calendar from above. To begin with, if simultaneous elections are to be held in 2018-19, what happens to assemblies in states that went to polls last year or this year? And, after simultaneous polls are held, what if a full five-year term is interrupted by political realignments in an assembly, or assemblies? In a vigorous and diverse democracy, there is no guarantee, either, that the Lok Sabha will run for its full term. The point is this: Democratic politics cannot be, it must not be, circumscribed by an artificial fixity of tenure of the legislature. Such an insistence on uniformity and tidiness would only undermine the people’s will by making politics more unresponsive and unrepresentative. The first election in independent India was held simultaneously at the Centre and in the states. But election cycles soon diverged once the realities of mid-term polls, a multi-party system, coalition politics and a federalising polity kicked in. The federalisation of the polity, in particular, has deepened democracy in India, with every state evolving its own specific format and time-table of political competition, and throwing up its own set of priorities and issues. The parliamentary, federal system has worked well for a country of diverse voices and many minorities. The idea of simultaneous polls — one nation, one polls — threatens to re-arrange, curb and flatten out this plural and layered federal system by giving it a more presidential and unitary character. It must be resisted.